This display is great for shows on the go as well as an impulse display near your checkout counter. 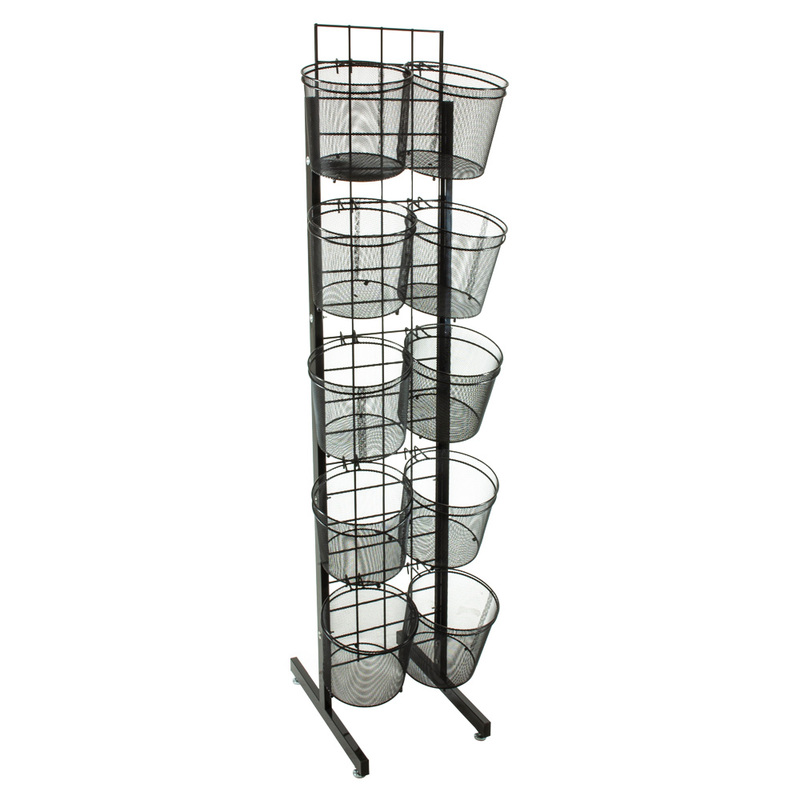 Easy to assemble and has the ability to display a wide variety of items. This display is 24 in w x 20 in d x 72 in h with 10- 9 in. mesh baskets. 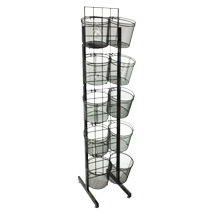 Baskets can go side by side on one side or 5 baskets on the front or the back.